Carte postale photographique, 1908. Collection privée. / Photographic postcard, 1908. Private collection. "Steam hauler capacity 50,000 feet of lumber to a load. 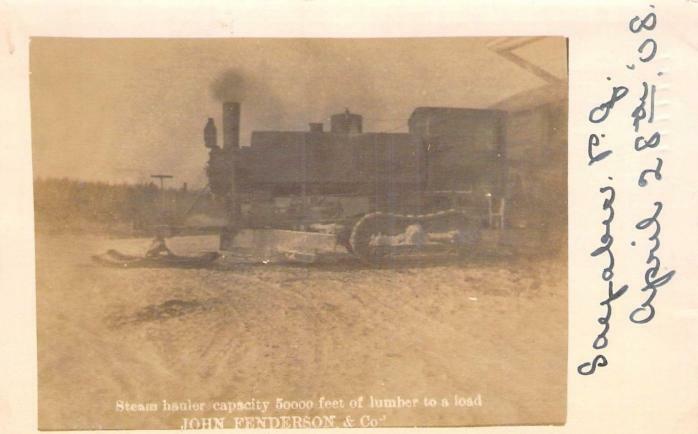 John Fenderson & Co."